Butter sculptures, giant turkey legs, and every candy bar you can imagine in deep-fried form. State fair food is notoriously over-the-top, and this year is no exception. No, there aren’t many options here if you like to eat healthily. Everything is greasy, salty, sweet, creamy, chocolately goodness, and we won’t apologize for wanting to try every single thing. Below, take a look at these epic butter-based creations at the Ohio State Fair, which runs until August 5. Whether you’re just looking for a dose of childhood nostalgia or gearing up to head to the fair in your home state, these snapshots will, at the very least, make you hungry. Scroll all the way to the bottom for a surprise. A Christmas Story butter sculptures. The American Dairy Association Mideast says that it took sculptors around 400 hours and more than a ton of butter to shape these impressive art pieces. Ummmm...think I know what I'ma have to try next week!! #OhioStateFair #FairFood #AllTheCarbs I'll walk them off, right?! Chicken and waffles—on a stick. Wouldn’t be a state fair without deep-fried Oreos. Fried and chocolate-covered “buckeye”—otherwise known as horse chestnuts—is an Ohio State Fair specialty. It might not be Disneyland, but the Ohio State Fair does have it’s very own Dole Whip vendor. 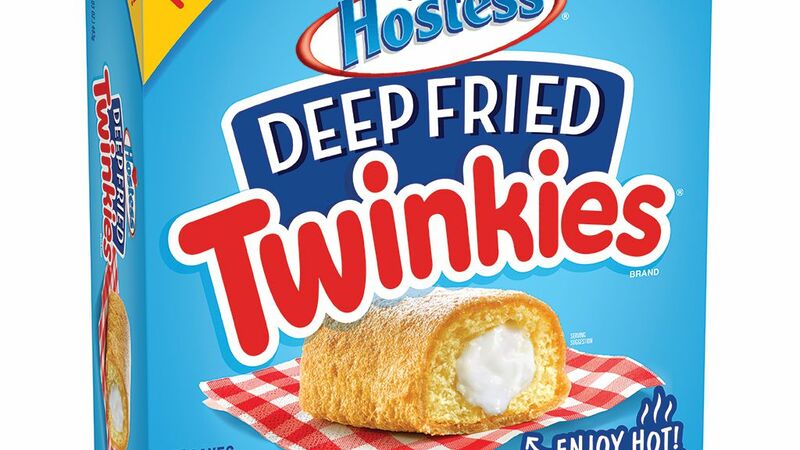 It’s not just Oreos: Deep fried Pop Tarts, Snickers, Milky Way and more are all on the menu. Need to cut through all that sugar with something savory? Try a turkey leg. Talk about indulgent: This burger is topped by a glazed doughnut. Bonus picture: This adorable, wide-eyed baby cow. The Ohio State Fair runs from Jul 25, 2018 to Aug 5, 2018.